Drink sangria whilst watching the sunrise – this had been on my bucket list for a long time now. And this morning Nic and I got up at 6.45am to head down to the beach and do just that. It was totally worth it, absolutely gorgeous. 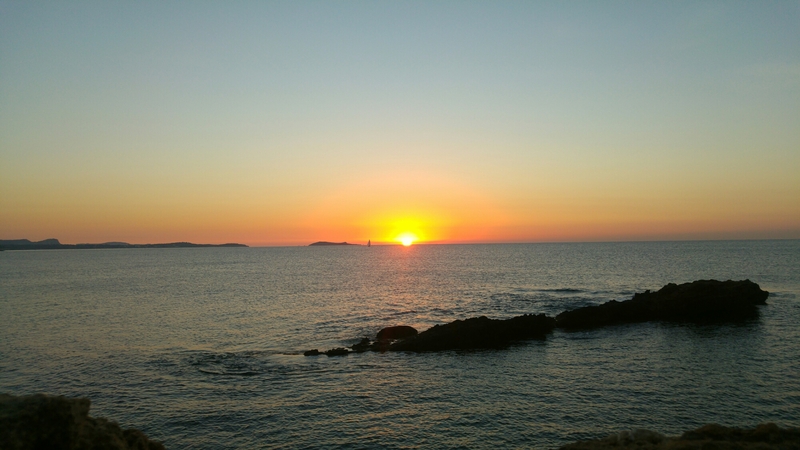 Later on we did some excellent snorkelling and explored Ibiza old town as the sun set. I just can’t get enough of that big ball of fire in the sky!